A three-Judge bench of the Supreme Court comprising Justice Dipak Misra, Justice P.C. Pant and Justice Amitava Roy today dismissed Yakub Memon’s plea against his scheduled execution tomorrow in the 1993 Mumbai bomb blasts case. His mercy petition has also been rejected by Maharashtra Governor Chennamaneni Vidyasagar Rao. The Bench did not find any fault in the issuance of the death warrant by the TADA Court "After the rejection of mercy petition by the President, Memon had not challenged that in the court of law," the SC bench said. Initiating the arguments, Senior Advocate Raju Ramchandran, appearing for Memon, referred to the split stand taken by Justice A.R. Dave and Justice Kurian Joseph. He contended that the procedures established by the law have not been followed while deciding the curative petition of the convict. Ramachandran said, "The judges, who were part of judicial process earlier, must be party to curative petition. It cannot be decided by judges who are strangers to the matters." He relied on the reasoning delivered by Justice Kurian Joseph in yesterday’s order, wherein he had noted that a Curative Petition has to be circulated to a Bench of three senior-most Judges of the Supreme Court and the Judges who passed the Judgment complained of, if available. In the instant case, the Judgment complained of was passed by a Bench of three Judges comprising Justice Anil R. Dave, Justice J. Chelameswar, and Justice Kurian Joseph. However, the Curative Petition was circulated only to the three senior-most Judges, Justice Joseph noted. Read the order and LiveLaw story here. Advocate Ramachandran’s stand was supported by Senior advocates T R Andhyarujina and Anand Grover. They contended that the death warrant is illegal and cannot be executed tomorrow. Attorney General Mukul Rohatgi reminded the Court that this was the first terror attack at the heart of the country that had led to the death of 257 persons and several hundred injured. Memon had filed another mercy petition before President Pranab Mukherjee. This was his last hope. A curative petition, filed on behalf of Yakub by his brother, was previously rejected by the president in May. 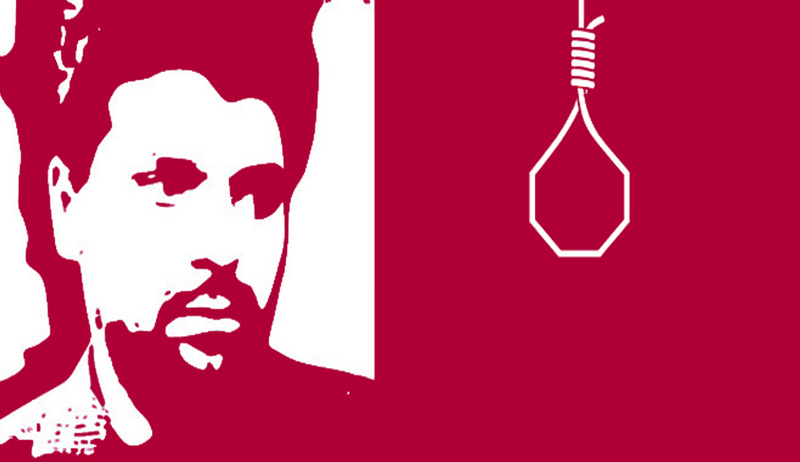 The Home Ministry has sent Memon’s petition back to the President and said that he should be hanged at the earliest. As per sources, MHA has taken the stand that there are no new grounds for the second mercy plea to stand. The Apex Court had rejected Memon’s on July 21. A Bench headed by Chief Justice H.L. Dattu observed that the grounds raised in the Curative Petition which would not fall within the principles laid down in the case of Rupa Ashok Hurra vs. Ashok Hurra & Another, [ 2002 (4) SCC 388]. Though Memon’s Lawyer filed a petition for hearing in open Court, it was also not allowed. Read the LiveLaw story here. While the verdict is receiving mixed reactions from the masses, NDTV reported that the Maharashtra Government is prepping the final plans for execution. Memon turns 54 tomorrow. “Death penalty is a cruel, inhuman punishment. It hasn’t been shown to have any deterrent effect around world,” he added.